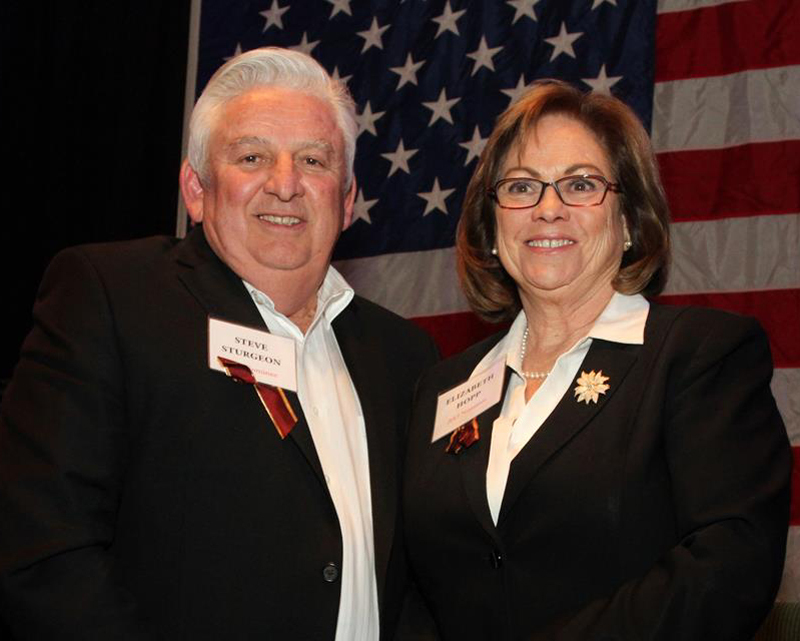 Local banker Elizabeth M. Hopp was named 2013 Santa Clarita Valley Woman of the Year at the 47th annual recognition dinner Friday night at the Hyatt Valencia. Hopp was nominated by the Michael Hoefflin Foundation for Children’s Cancer. She has held various positions on the Board of Directors, chaired committees, worked tirelessly, and provided invaluable insight to this highly successful nonprofit organization. She was the second of five children and learned responsibility at an early age by helping to raise her younger siblings, as her mother was working outside the home. Elizabeth and her family moved to Northridge around 1951, where Elizabeth attended Lorne Street Elementary School and later, Northridge Junior High School. Fun times at Cleveland High School in Reseda followed … along with straight A’s, Malibu beach, and boys … or boy. No doubt Elizabeth can still recall some great times with then flame, Bill … and soon to be Tony and Matt’s Father Mike Watson. In fact, they had so much fun that Elizabeth and Mike were married shortly after Elizabeth graduated in 1967. First son, Tony, the happy surprise, came along quickly and then Matt, some time later in 1971. Like her Mother and father, Elizabeth decided to go into the banking business while raising her family. She started at United California Bank in 1969, moved on to Bank of America in 1971, then to other banks including Valencia National Bank. Although Elizabeth and husband, Mike, decided to part married company in 1975, the family stayed close with the encouragement of her parents, Leonard and Grace, and in 1977 Elizabeth met the love of her life. Steve Hopp moved across the street from Elizabeth in 1977 and the rest is history. They fell in love and were married in October of 1979. Two years later they moved to Valencia, where Elizabeth began an incredible journey as wife, Mother, sister, banker, and community volunteer extraordinaire. In fact son, Tony, can remember early days when he was conscripted into running credit cards and serving at Elizabeth’s request at many nonprofit events … but, naturally Elizabeth didn’t forget to have some fun along the way! Meanwhile, Elizabeth was right there leading her family and the community in volunteering and giving back while transitioning through other banking positions at Valencia National Bank, American Pacific State Bank, and City National. She’s home now with the Bank of Santa Clarita, where she currently serves as Senior Vice President and Regional Manager. On the community front, Elizabeth is President of the Santa Clarita Valley Boys and Girls Club, Secretary of the SCV Chamber of Commerce, Advisory Board Member of the Child and Family Center and Betty Ferguson Foundation, and past Chair of the Henry Mayo Newhall Memorial Hospital Foundation Board of Directors … all the while being what many consider to be the “guiding influence” at the Michael Hoefflin Foundation for the last five years. 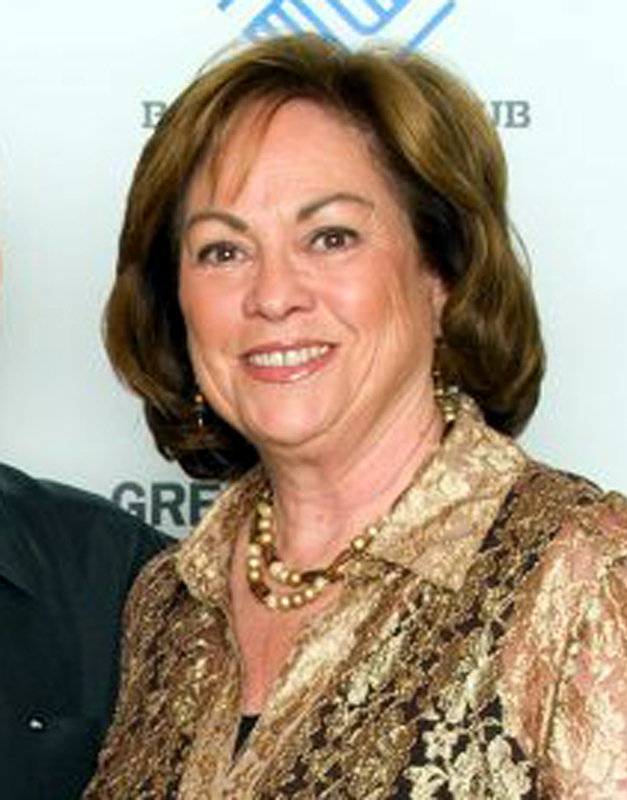 She has also served as the Treasurer of the Friendz Philanthropic Organization since 1993. Elizabeth loves to travel and, although horseback riding along the way may not be her absolute favorite, she has managed to her delight to visit such places as Ireland, Scotland, Tuscany, England, France, Costa Rica, Ecuador, and many other countries. She’s committed to mentoring single Moms; is known for a witty, maybe even a little sarcastic, sense of humor; and loves pop music and culture. But by far, her joy is her husband, Steve, two grown sons, Tony and Matt, two amazing daughters-in-laws, and four beautiful grandchildren … who, incidentally and consistent with family tradition, get to pick where and what they want for their birthdays and special occasions.